Once you commit to a particular smartphone, it’s easy to stereotype how you see other smartphone users. I’m talking about iPhone, Android, and Blackberry users. We all have our views about the pros and cons of each, and debates will go on forever about which is the ‘best’ smartphone. Well done, guys. 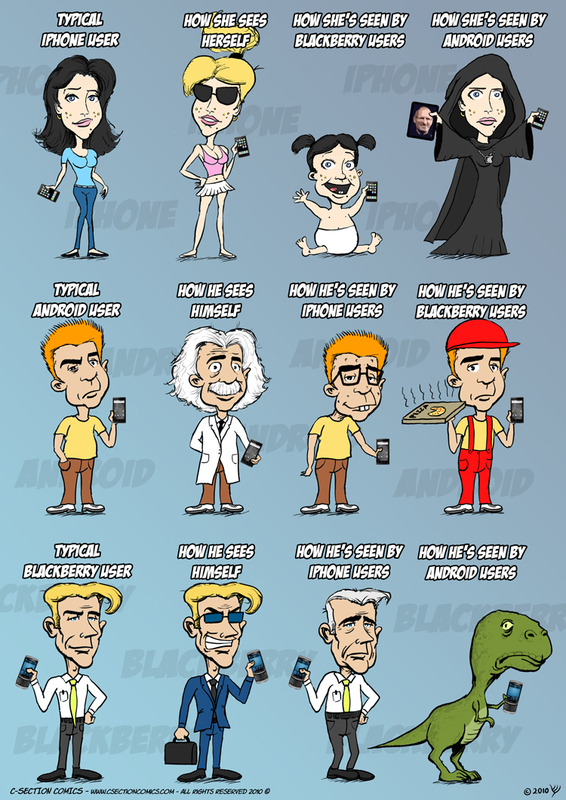 My favourite is how typical Blackberry users are seen by Android users–they’re dinosaurs! Priceless.